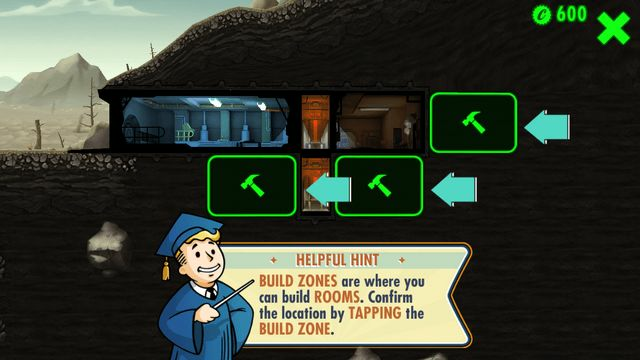 The mistake of building without a game plan in Fallout Shelter has serious long-term repercussions. It's the first thing you learn in the game, but if you're just placing rooms on the fly with no plans for the future, you'll run into issues faster than you'd think. It should be the first thing you think about before you even assign yourself a vault number. There are 20 of them, available to you somewhat in order of necessity, and definitely in order of price. Know what they are, what they do for you, and how you can get the most out of them, and you'll be a pro Overseer. 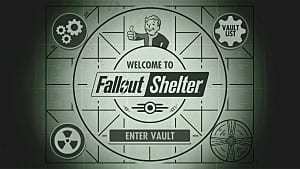 The Vault door is provided for free, and produces nothing but a base defense against raiders and whatever else lies out in the wasteland. 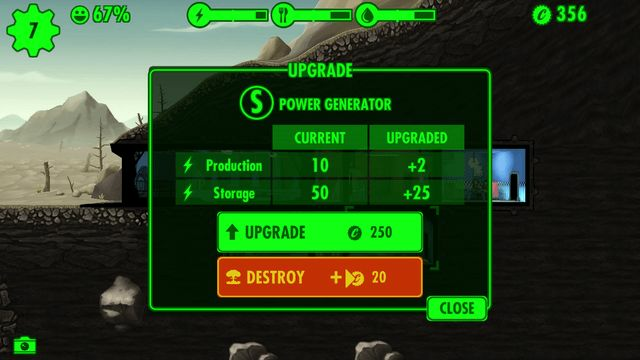 It comes with 2 upgrades though, for 500 caps and 2000 caps, so once you’ve reached a stable point in resources, I strongly recommend upgrading to protect your dwellers. There are some elevators provided Day 1, but additional elevators have a base cost of 100 caps (but can increase at +25 cap increments so don’t be surprised once they get pricy later). They don’t have upgrades, but can be stacked to help dwellers (and Raiders) navigate your shelter. My top recommendation from experience is that Raiders’ AI work in zig-zag, linear patterns, do not place stacks of elevators at the ends of your floors. Place them mid floor, or the Raiders will sweep through easily and you’ll be racing to catch up if only a few dwellers have weapons. (S) Power Generators/Nuclear Reactors produce power and should always be productive. Besides the water treatment rooms, use all stat-booster outfits and training toward maintaining high Power levels. If your Power Generator rooms aren’t at best, then adding rooms quickly drains the resource because they increase the minimum level needed. Then, rooms further out go dark and drop productivity. (P) Water Treatment/Purification rooms feel like the second most important rooms in the shelter. If water levels are at par, it keeps the radiation away. Radiation causes babies with radiation and deteriorates health, which ultimately leads to low happiness levels. Sufficient water purification makes Radaway primarily for your explorers so you can focus on Medbays to keep health and happiness up. It’s a waste of resources to Radaway + Stimpak every dweller all the time. (A) Diners/Gardens help with happiness. Low food causes unhappiness, but that’s nothing some baby-making and well-placed room assignments can’t fix later on if you’re struggling with it. Long-term, though, it leads to poor Overseer reports. The rest of the production rooms are simple enough based on the above. (I) Medbays produce Stimpaks which heal/increase health. (I) Science Labs produce Radaways which decrease radiation levels. 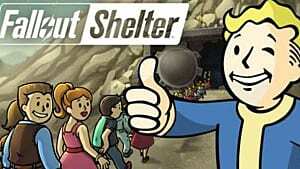 (C) Radio Studios increase charisma and call out to wandering explorers to increase your shelter population. The (E) Nuka-Cola bottler produces both food and water. Instead of Perception or Agility, however, it requires Endurance. **Happiness and S.P.E.C.I.A.L. traits affect production. Match traits with respective rooms and keep them happy to increase production. Living Quarters! 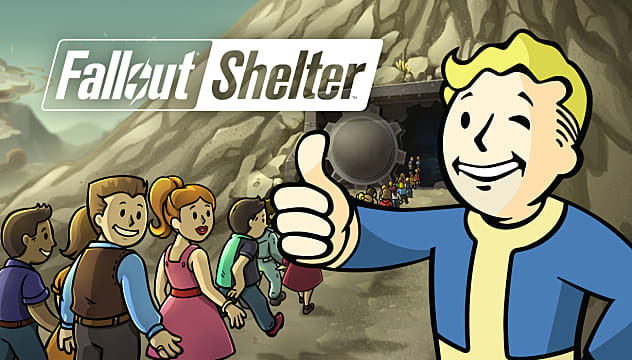 You’re provided with one at the beginning, and this is what limits your total shelter population, so upgrades +2 dwellers and expansions +2 dwellers each time. A building technique I used is to create two single-slot Living Quarters, but separated either by a room between or on separate floors. You can upgrade them and join them with others after based on your setup and needs. Two dwelling rooms early on helps you rest whichever dwellers you want, regardless of gender without worrying about them making babies when you’re not ready. Just separate them by gender when rooms are full and there are extra dwellers, or nonstop, overworked dwellers and need a break (they’ll tell you, if you listen). It’s an extra room that may seem unnecessary but it’s so helpful if you’re careful. There isn’t much to say on Storage Rooms. They can be occupied by two dwellers, or be left empty. They can be placed anywhere. They are also available early on but I’ve only found them useful once every dweller has an outfit and weapon, so place sparingly and with care. 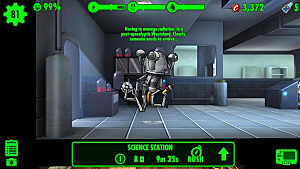 Training rooms are considered luxuries, so you won’t be able to improve S.P.E.C.I.A.L. 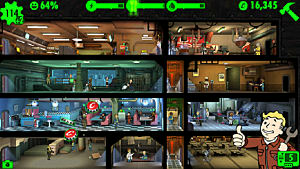 trait levels early on, just personal dweller levels until you have earned those luxuries through the hard work of extensive gameplay. I was disappointed, too. Weight Rooms increase (S)trength for Power production dwellers. Armories increase (P)erception for Water treatment dwellers. Fitness Rooms increase (E)ndurance for Explorers and Nuka-Cola bottlers. Lounges increase (C)harisma for Radio studio dwellers and dwellers you pair for reproduction. Athletics Rooms increase (A)gility for dwellers in diners/food production rooms. 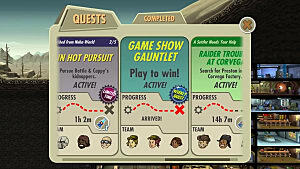 Game Rooms increase (L)uck to help dwellers in rooms that need rushing most often. You can merge rooms by placing two rooms next to each other. You upgrade by tapping the UP arrow on the screen that appears when you select a room and highlight it (tap once) and selecting the upgrade option, using up caps as payment. Upgrading rooms and merging rooms together will increase your productivity output of these rooms. 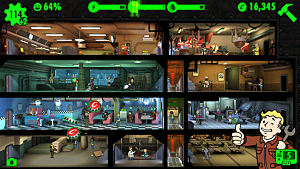 I strongly recommend upgrading rooms first so you’re not scrolling everywhere (or an upgrade, expand, upgrade, expand pattern; whatever works based on your dwellers’ stats and caps). It also helps when you’re starting out and have a low population. It keeps the ones you have useful, but giving you more resources. Once you have more people to distribute where they’ll be most efficient for your needs, then expand. One thing to keep in mind is rooms won't merge until both are upgraded to an equal level. A Level 2 room can’t merge with a freshly placed room of the same output until that room is upgraded to Level 2 as well. Another thing to remember is that you can merge up to 3 rooms across. This is for later long-term gameplay. Use this wisely. Not every room needs to be 3 across every time. Upgrades help save space by producing more output, but they cost more caps than the cost of another base room. Choosing which you want to do is all the strategy of planning your shelter. Find the right productivity-to-room ratio based on your population then take the risk and add to your shelter. Every upgrade, room added, and baby born will change your minimum resource levels needed and give you the task of regulating the shelter again, tipping the scales. It’s a budgeting of resources. Don't build new rooms as soon as they're unlocked just because you can. That’s a fast and easy way to blow through your resources and being unable to reach your minimum resource bar levels. That makes unhappy dwellers. Low power causes the furthest rooms black out and drop production first, so keep resources as close to the power room as possible, but leave room for power room expansion to accommodate more rooms. Power Generators should be spaced out and expanded to accommodate. Keep resource rooms like diners and water treatment rooms close so they don't lose power/drop productivity. Storage, Living Quarters, and Radio Studios can go anywhere and are cool to keep as single-slot rooms you upgrade. Avoid elevators at the end of floors to slow Raiders in their AI patterns. Place Medbays' and Science Labs' proximity based on necessity (Usually low on water? Build labs and build them closer for Radaway. 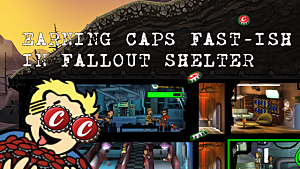 Fallout Shelter is currently available for iOS and Android. I agree with many things you have pointed out in this guide but not to be a critic or anything I would have to say I disagree on the elevator placement idea because I have learned from my experience that keeping the elevator in the middle of the vault can lead to a few problems during raids. From my experience I have been forced to put an elevator on the far right side because raiders and deathclaws would come back through the rooms they attacked and fight the same dwellers again after they have been injured or weakened and end up killing them half the time. I am not trying to say your wrong or anything because i see your point but I just want to point out that there are many ways to handle it.